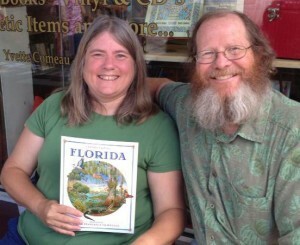 Founded to produce quality nature and outdoor recreation publications, Watula Press is an imprint of Florida Hikes, published by Florida authors Sandra Friend and John Keatley. We are members of the Society of American Travel Writers and the Florida Outdoor Writers Association. Read about us in Florida Trend. Visit Florida Hikes!, our top-ranked resource for outdoor recreation in Florida. Learn about award-winning author Sandra Friend, who has written nearly 40 books since 1996. Learn about award-winning author John Keatley, who has a half dozen books to his credit.